GlobeCore’s standard range of services includes not only sales of equipment, but also rentals. 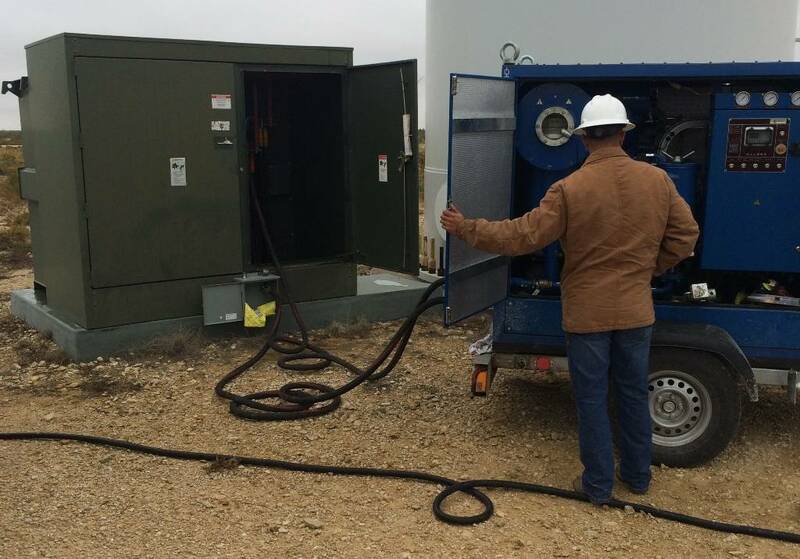 It was the latter option that was chosen by one of American electric power companies to service the transformers of wind farms. Two CMM-4/7 units were contracted and went to the Virginia. The CMM-4/7 units are used to service 1150 kV power transformers. Beside these functions, the units can also be used to heat oil filled electrical equipment with hot oil, to pull vacuum and vacuum dry transformers. Using GlobeCore products significantly extends power transformer life and improves reliability of wind farm power generation. GlobeCore is a member of American Wind Energy Association (AWEA) and is always ready to take part in wind power projects.